As all gardeners know there is never a shortage of jobs to be done in the garden. From mowing lawns to weeding, cutting hedges to planting new beds there is always plenty to do. Together with our established team of gardeners our volunteers help us to both maintain and improve the garden. If you are interested in joining us even if it is just half a day a week please contact us. We try and tailor each volunteers role to their field of interest. So whether you are a avid weeder or looking to learn about all aspects of landscaping, we have a role for you. Mary is always on hand to share her vast knowledge of latin names and most importantly how and where different plants will grow. We also have both foreign and local students come to compliment the theory of their courses with practical experience. 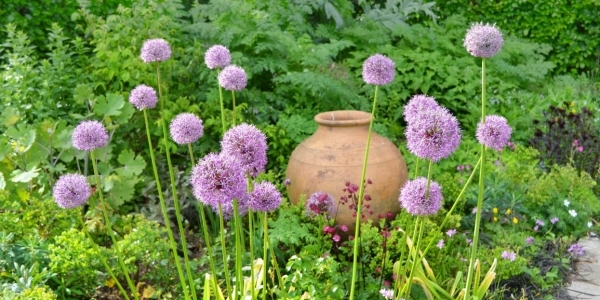 From 2015 onwards Burrow Farm Gardens has become host to John Horsey Gardening and The History of Gardening courses. John Horsey has over 45 years experience in the horticultural industry as both a commercial grower of specialist alpine plants and as a professional horticultural and environmental lecturer. The courses aim to impart knowledge and skills in a comfortable environment without the stress of conventional Examinations and Assessments. John works hard at creating a relaxed environment where you can gain information, make new friends and have an enjoyable day. 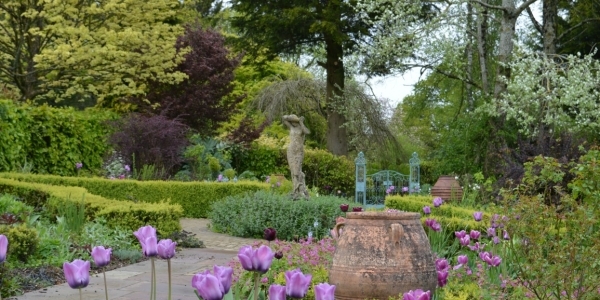 The courses involve trips to various gardens as well as many trips around the 13 acres of Burrow Farm Gardens.